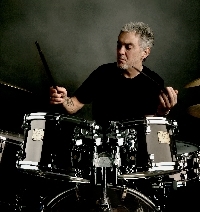 Due to phenomenal demand Ronnie Scott's proudly presents the Steve Gadd Band live and in glorious HD. Pay once, watch again & again for 30 days. Join us on November 18th at 15:15 ET / 12:15 PT / 20:15 GMT for an exclusive live stream of the Steve Gadd Band. Featuring legendary drummer Steve Gadd in the engine room, with Larry Goldings on keys, Jimmy Johnson on bass, Michael Landau on guitar & Walt Fowler on flugelhorn/trumpet, this promises to be an umissable event. We're planning an 8-camera production with not 1 but 2 drum-cams it's coming at you Live & in HD with audio from our talented sound team.